Derek Or has a good mix of academic & industrial experience. Having received his BSc, MPhil (Teaching Company Scheme) & PhD (part-time mode) education at PolyU from 1992 to 2001, Derek acquired industrial experience in the R&D Department of ASM Pacific Technology Ltd. in both HK & Singapore from 1995 to 2001 & performed his postdoctoral research in the MAE Department at UCLA from 2001 to 2002. 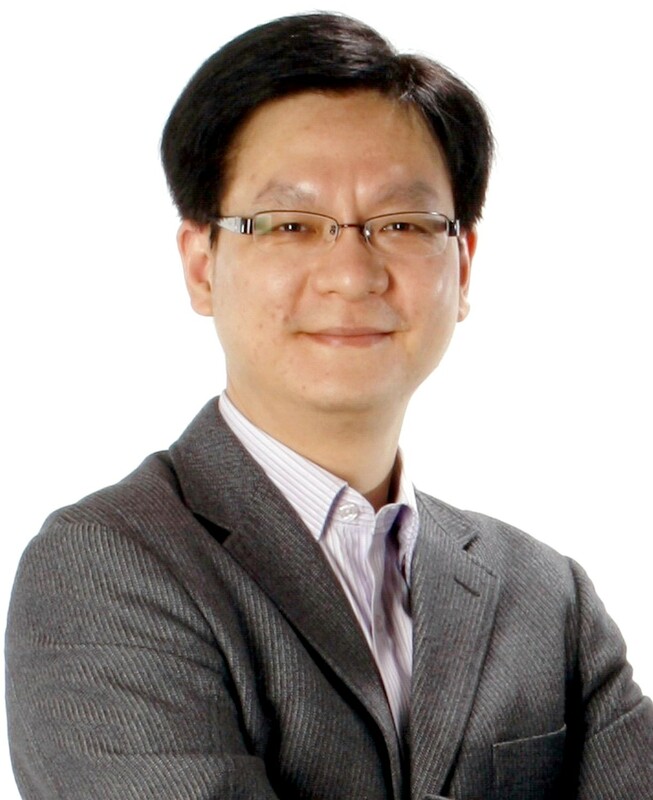 He started his academic career as Lecturer in the AP Department at PolyU in 2002, became Assistant professor in AP in 2005, advanced to Associate Professor in the EE Department in 2008 & achieved the rank of Professor in EE in 2012. Derek established the Smart Materials & Systems Laboratory in 2008, took over the High Voltage Engineering Laboratory in 2009, & has directed them to become strategic technology resources of both EE & PolyU. His group has the primary research focus on developing multifunctional smart materials with interestingly high magneto-/electro-/thermo-/mechano-/optical responses in the bulk, micro- & nano-scale as well as investigating the fundamentals of sensing, actuation & transduction mechanisms, energy generation & conversion processes, structural integrity, environmental sustainability, etc. for multidisciplinary applications. Moreover, the development of smart devices, including self-sustainable/energy-harvesting wireless sensors, coil-free self-isolated circuit protection & control devices, electromagnetic wave nano-absorbers/-shields, waste energy harvesters & converters, green batteries & energy cells, sensori-actuators/-transducers, ultrasonic tools, self-sensing vibration absorbers/isolators/dampers, etc., forms the application focus. In addition, condition & health monitoring; signal analysis, processing & transmission; drives, control & automation; energy harvesting, conversion, storage & management; prognosis & diagnosis; nondestructive evaluation; etc. are the synergic technologies for integrated systems. Derek has an outstanding record of research performance & an excellent reputation for professional services, both locally & internationally. He has secured HK$55M+ research grants for 65+ projects & HK$12M+ laboratory & equipment grants from government bodies, industries & PolyU since 2002. He has produced 300+ research publications since 1996, including 2 professional book chapters, 43 patents for 16 inventions, 200+ SCI journal papers (>70% in Q1 journals, h-index: 30+, citations: 3500+) & 60+ international conference papers. He is recipient of 20+ international, national & local research/invention awards/medals. Most of them have been commercialized/deployed in various industrial sectors worldwide, including power distribution systems, circuit protection & control apparatuses, railway electrification systems, cable-suspension bridges, semiconductor packaging equipment, high-power ultrasonic assembly equipment, etc. Derek has/had held various prestigious positions in government, academic & professional bodies, including Jury Committee Member of APEC Energy Smart Communities Initiative Best Practices Awards Program (2017), Visiting Professor of Stanford University (2015) & UCLA (2014), International Collaborator of NSF Nanosystems Engineering Research Center for Translational Applications of Nanoscale Multiferroic Systems (since 2013), Assessor of Chang Jiang Scholars Program (since 2013), Assessor of Academic Staff Promotion in Huazhong University of Science & Technology (since 2013), Chief Science & Technology Advisor of Hangzhou Qianjiang Economic Development Area (since 2014) & Zhucheng Municipal People’s Government (since 2012), Adjunct Professor of Zhejiang University (2010–2016) & Shanghai Institute of Ceramics, Chinese Academy of Sciences (2004–2010), etc. He has also served as Associate Editor of 3 SCI journals, Reviewer for 2 research funding schemes in France & China, Chair/Member of various professional bodies, examination boards & international conferences, etc. 1) Outstanding Professional Services Awards 2014 – Most Valued Project Award – Merit for Supply, Testing & Commissioning for Self-sustainable Magnetoelectric Sensor, PolyU Technology & Consultancy Company Limited (2015). 2) 2014 Merit-based Salary Adjustment for Excellent Performance, The Hong Kong Polytechnic University (2015). 3) 2013 Merit-based Salary Adjustment for Excellent Performance, The Hong Kong Polytechnic University (2014). 4) Gold Award for Portable Real-time DNA Biosensor, The 39th International Exhibition of Inventions, New Techniques & New Products of Geneva, Geneva, Switzerland (2011). 5) Performance Reward 2010, The Hong Kong Polytechnic University (2011). 6) Outstanding Professional Services & Innovation Awards 2009 – International Award for Novel Ultrasonic Semiconductor Thin-Die Bonding Process, PolyU Technology & Consultancy Company Limited (2010). 7) Gold Award for Ultrasonic Semiconductor Thin-Die Bonding Platform, The 37th International Exhibition of Inventions, New Techniques & New Products of Geneva, Geneva, Switzerland (2009). 8) Outstanding Professional Services & Innovation Awards 2008 – International Award for Smart Therapy, PolyU Technology & Consultancy Company Limited (2009). 9) Bronze Award for Smart Therapy, The 60th International Ideas, Inventions & Innovations Trade Fair (IENA), Nuremberg, Germany (2008). 10) Outstanding Professional Services & Innovation Awards 2007 – International Award for Self-Sustainable Magnetoelectric Smart Sensors, PolyU Technology & Consultancy Company Limited (2008). 11) The Best Paper on Materials 2006 – 3rd Prize for Wavelength Tuning of Fiber Bragg Gratings Using Magnetostrictive Transducers, The Hong Kong Institution of Engineers (HKIE) – Materials Division (2007). 12) Outstanding Professional Services & Innovation Awards 2006 – International Award for Smart Vibration Damping System for Intelligent Vibration Control of Civil & Mechanical Structures, PolyU Technology & Consultancy Company Limited (2007). 13) Outstanding Professional Services & Innovation Awards 2006 – International Award for Advanced Composite Materials for Integrated Circuits & Microelectronics Wire Bonders, PolyU Technology & Consultancy Company Limited (January 2007). 14) The President’s Award for Excellent Performance/Achievement in Research & Scholarly Activities 2005/06, The Hong Kong Polytechnic University (2006). 15) Bronze Award for Self-Sustainable Magnetoelectric Smart Sensors, The 58th International Ideas, Inventions & Innovations Trade Fair (IENA), Nuremberg, Germany (2006). 16) The Faculty Award for Outstanding Performance/Achievement in Research & Scholarly Activities 2005/06, The Hong Kong Polytechnic University (2006). 17) Silver Medal for Smart Vibration Damping System for Intelligent Vibration Control of Civil & Mechanical Structures, The 15th China Exhibition of Inventions, Beijing, China (2005). 18) Silver Medal for Advanced Composite Materials for Integrated Circuits & Microelectronics Wire Bonders, The 15th China Exhibition of Inventions, Beijing, China (2005). 19) Gold Award for Advanced Composite Materials for IC & Microelectronic Wire Bonders, The Seoul International Invention Fair (SIIF), Coex, Korea (2002). 20) Highest Licensing Values Award, The Hong Kong Polytechnic University (2001). 21) Tuition Scholarship for Postgraduate Research Studies, The Hong Kong Polytechnic University (1995–2000). 22) Q. W. Lee Scholarship, The Hong Kong Polytechnic University (1995).